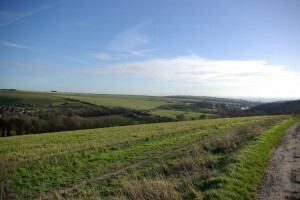 Valued landscapes, include those in South Downs National Park around Eastbourne and Lewes. These typically have high landscape quality, great scenic beauty, a sense of remoteness and associations with famous artists. Landscape artists Paul Nash and Eric Ravilious were inspired by Valued landscapes around Eastbourne and Lewes. They depicted scenic beauty of South Downs, now a protected landscape, the South Downs National Park (SDNP). Understanding how Valued landscapes and LVIAs fit together into the planning system can sometimes be difficult to unravel. Some highly Valued landscapes include those areas in SDNP, around the homes of artists and writers of the Bloomsbury group. The Downs exerted a formative effect on the paintings of Ravilious, whilst Charleston lies in the heart of a Valued landscape, in South Downs National Park. Charleston was the country home of the Bloomsbury Group, of Vanessa Bell and Duncan Grant and due to the inspiring landscapes and views of the South Downs, became home to artists and writers. Valued landscapes are often associated with artistic creativity. “In 1916 the artists Vanessa Bell and Duncan Grant moved to Sussex with their unconventional household. Inspired by Italian fresco painting and the Post-Impressionists, the artists decorated the walls, doors and furniture at Charleston. The walled garden was redesigned in a style reminiscent of southern Europe, with mosaics, box hedges, gravel pathways and ponds, but with a touch of Bloomsbury humour in the placing of the statuary. In the house, the collection includes… work by Renoir, Picasso, Derain, Matthew Smith, Sickert, Tomlin and Delacroix.” (Extract from website of Charleston.) Paul Nash and his student Eric Ravilious, the 70th anniversary of whose death is being celebrated this year, are amongst the finest of our British landscape painters. These roving painters both found tremendous inspiration on the coast and in the countryside around Rye and Lewes. To the north, further inland the High Weald AONB is one of our Valued landscapes with strong associations near Sissinghurst to the world famous writer and garden designer Vita Sackville West. Valued landscapes thus often have associations with designers. Gertrude Jekyll and Edwin Lutyens, based in Munstead, Surrey Hills AONB, designed over 120 houses and gardens. Architect Edwin Lutyens worked on the design of the houses, whilst Gertrude designed garden layouts and planting. Together forming the Arts and Crafts movement which drew inspiration from the landscape of the Surrey Hills AONB. See; Munstead Wood, Busbridge, Surrey . Gertrude Jekyll’s Arts and Crafts movement designed natural looking country gardens in a cottage garden style and woodland with wild gardens and meadows. This approach drew on the Surrey Hills Valued landscapes and was very different from previously designers work for formal Victorian rockeries and bedding schemes. Jekyll became the head of the cottage garden movement which then influenced Vita Sackville West. Vita was living and working in Kent and Sussex in Valued landscapes of her own, including the Kent and Sussex High Weald AONB. Vita’s writing and garden design style of cottage gardens led to associations with the rest of the Bloomsbury group in the Downs landscape and namely with Virginia Woolf who lived at Monks House in the South Downs. These properties form part of the character of our most Valued landscapes. The national treasures linked to the heart of Kent and Sussex, form part of the Valued landscapes of these artists and writers. The properties they worked on and in, the garden styles and wider landscapes they managed, are all inextricably linked to the Valued landscapes of South Downs National Park, The High Weald AONB as well as to the Surrey Hills AONB. So too are Locally designated (AGLVs, SLAs)and Nationally designated landscapes (National parks and AONBs. )Associations with famous “locals” or personalities who lived in them, often overlap and merge to form parts of the landscape character of the highly Valued landscapes such as High Weald AONB of Kent, Sussex and Surrey, South Downs National Park of Sussex and Surrey Hills AONB. These places have very close associations with artists and writers who were inspired by the Valued landscapes in which they lived and worked. Local landscape designations such as AGLVs and SLAs, vary in location and thus reasons for their designations vary accordingly. The reasons for these landscape designations are not always widely documented. The National Planing Policy Framework (NPPF) does not actually define Valued landscapes. In March 2015 an planning inspector dismissed an appeal for up to 130 houses with open space on the edge of a village in Warwickshire. 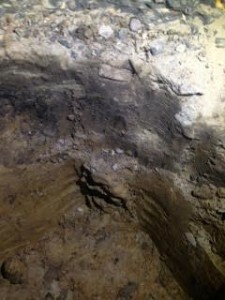 The area did not have a formal landscape designation. He ruled that most countryside adjacent to villages would be “valued” by the locals, but this did not mean that it was a “Valued landscape” under paragraph 102 of the NPPF. He considered that the only means of assessing the landscape was to undertake a professional analysis using the Landscape Institute’s guidelines. 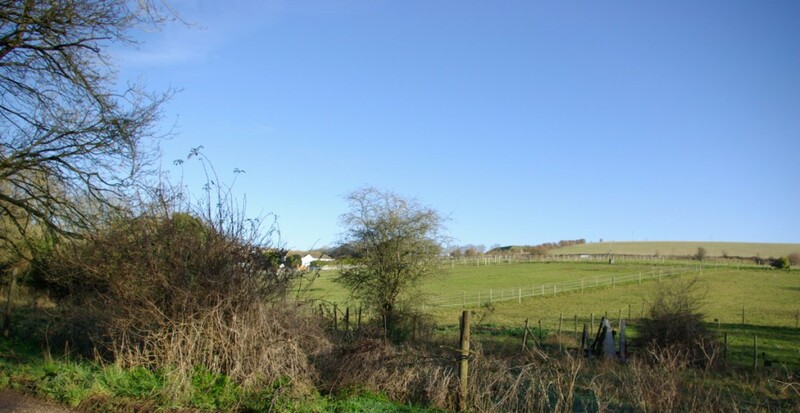 In another appeal, which was again on the edge of a settlement in Devon, the Planning Inspector rejected the council’s claim that the land formed part of a Valued landscape under paragraph 109 of the NPPF. Permission was granted for up to 59 dwellings. This chequered approach can make defining Valued landscapes more tricky. It may be harder to obtain a clear idea of why these landscapes were designated and to understand fully their relationship to the wider landscape in which they are located. A detailed LVIA can help to fill this gap and will update findings, ensuring protection and conservation of the landscape as well as suitable management. This will help to enable any potential development to be accommodated more sensitively within Valued landscapes which have local landscape designations. For further details on how we can help you with your LVIA, for informal landscape character assessment advice, or to discuss your landscape project, contact the specialist Landvision team on 01892 782200.